Physical characteristics: The African jacana ranges in length from 9 to 12.2 inches (23 to 31 centimeters) and in weight from 4 to 9 ounces (137 to 261 grams). African jacanas have brown, black, and white feathers and a blue patch on the forehead. Geographic range: African jacanas are found in Africa south of the Sahara desert. Habitat: African jacanas inhabit marshes, ponds, and lakes with mats of floating vegetation. Diet: African jacanas eat primarily insects, other invertebrates, and the seeds of aquatic plants. Behavior and reproduction: African jacanas breed during the rainy season. Females defend territories and mate with as many as four different males. Four eggs are laid at a time and hatch after twenty-two to twenty-eight days. African jacanas and people: No significant interactions between African jacanas and people are known. "Jacanidae (Jacanas)." The Internet Bird Collection. http://www.hbw. com/ibc/phtml/familia.phtml?idFamilia=52 (accessed on April 16, 2004). "Family Jacanidae (Jacanas)." Animal Diversity Web. 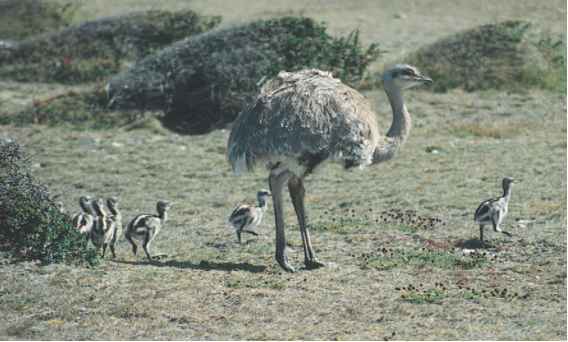 http:// animaldiversity.ummz.umich.edu/site/accounts/classification/ Jacanidae.html#Jacanidae (accessed on April 16, 2004). "Jacanas." Bird Families of the World, Cornell University. http://www.es. cornell.edu/winkler/botw/jacanidae.html (accessed on April 16, 2004).